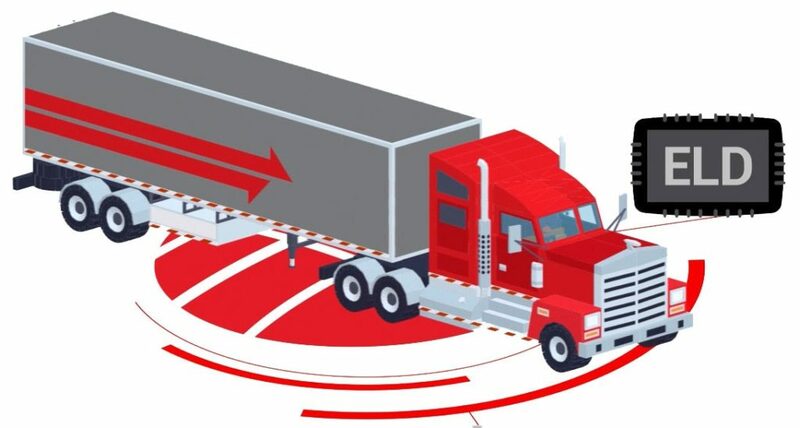 According to the FMCSA, all commercial carriers, trucking companies, and owner-operators that are subject to the ELD rule must be compliant with the latest regulations on that regard. The ELD mandate took effect from December 2017. For those who drive older trucks, using an AOBRD device was probably the norm for years. However, keep in mind that this is not a permanent solution, as it can only serve its purpose until December 16, 2019. Thereafter, you will have to switch to an ELD device. 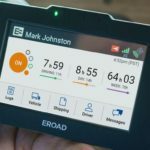 The catch is that FMCSA doesn’t endorse electronic logging devices, so ELD manufacturers are required to self-certify and register their products. As this technology continuously develops and changes, an increasing number of models tap into the market. It’s important to note that a lot of these products are non-compliant. That makes choosing the right ELD a daunting challenge. We will help you narrow down your options and make well-informed decisions. Below you can see the best ELD solutions for older trucks. Go ahead and read through the reviews. 2.0.1 Who is Exempt From ELD Rule? 2.0.2 Is the ELD Approved by FMCSA? 2.0.3 What's the Cost of an ELD Device? 2.0.4 What Features are Really Important for Your Fleet? 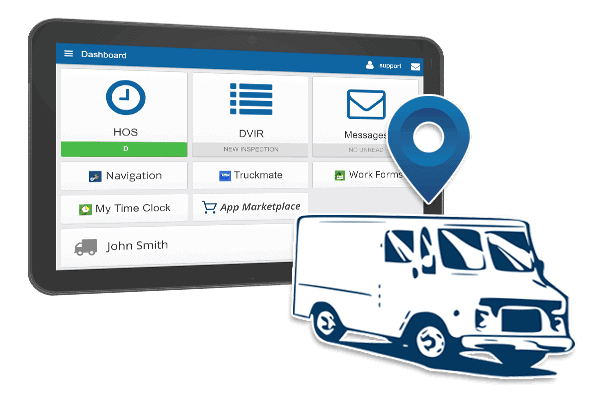 A low price point along with an easy-to-use, intuitive interface and a full suite of features make KeepTruckin the best ELD option overall. It is perfect for fleets looking to track the HOS in a cost-effective, streamlined manner. The KeepTruckin is considered to be the most reliable and easiest ELD solution on the market. 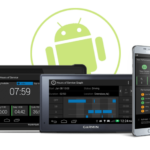 Constructed with commercial drivers and owner-operators in mind, this electronic logging device satisfies FMCSA criteria in accordance with the ELD mandate. With 6-pin or 9-pin cables included, the device is built to plug directly in the vehicle diagnostic port. To get started, all you need to do is download the free Keep Truckin Logbook App - it's available for both Android and iPhone - and connect your ELD device via Bluetooth. You can use either a smartphone or tablet to record drivers hours. That means you will be able to save money by using your own device instead of purchasing the ELD hardware, as is the case with many ELD solutions. What users particularly love about the Keep Truckin app is the cheating sheet and DOT Inspection mode. In fact, the app lets drivers change their past duty status and cheat on the e-logs, thereby avoiding ELD violations. The DOT Inspection comes in handy when you need to show your log history data to police officers during the roadside inspections. 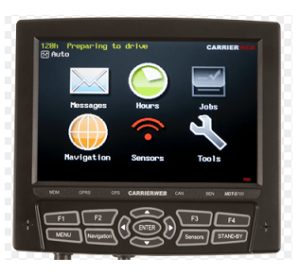 In terms of features and capabilities, this ELD device provides everything you could ever need, including basic HOS reporting, two-way messaging, and GPS locating. The standard features go beyond just compliance, meaning you can do much more aside from becoming compliant with state laws. As long as you do not need advanced features, you can stick with the basic plan. Those willing to pay more each month can also access some extra features like IFTA reporting, fuel monitoring, and DVIR reporting. Here's another ELD device suitable for older trucks. 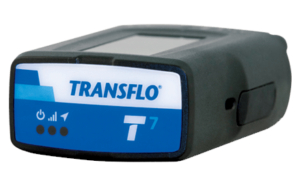 The Transflo has partnered with Geotab with the goal of offering a next-generation fleet management tool to its customers. That's how the T7 has tapped into the ELD market. First of all, it should be mentioned that this electronic logging device is FMCSA-registered. But the provider didn't only focus on mandate compliance. Instead, it aimed to provide fleet managers and drivers with a fully integrated all-in-one solution which includes telematics software and mobile application besides the unit. In addition to robust construction and cellular capability, the product boasts a wide range of features for both fleet managers and truckers. They will both reap the benefits with the use of these capabilities. Thanks to the effective hardware and innovative platform, fleet managers will be able to easily access data and reports on drivers while tracking the locations of the vehicles and streamlining the operations at the same time. As a result, they are going to manage their fleets in a more effective way and save money in the long run. Some of the features that are useful for fleet managers include real-time GPS tracking, violation alerts, accident detection, fuel consumption analysis, and accurate vehicle diagnosis. On the other hand, drivers will love features such as two-way messaging, DVIRs, and document scanning. CarrierWeb is a multinational transportation company that has been around for quite a long time. CarrierMate is their primary fleet telematics product. Even though there's a good selection of models with different operating systems and screen sizes, the experience is much the same across the board. This mobile communication system works in sync with the CarrierWeb web portal. That allows users to continuously receive and send information like fuel consumption analysis, GPS position data, job orders, text messages, trip data, and so on. The device can be fitted with an integrated navigation system, which allows carriers to operate more safely and efficiently. Thanks to easy-to-configure reports and software interface, fleets can improve the management of their trucks, trailers, loads, and drivers. There are all standard features you would expect to see, including IFTA mileage reports, messaging, DVIR, GPS tracking, etc. Apart from that, CarrierMate provides unlimited data communication, in-cab scanning, driver-friendly workflow, and truck attribute navigation. Fleet managers are going to appreciate the route geofencing alerts, driver performance monitoring, as well as ample vehicle diagnostics capabilities in particular. Those seeking document scanning will have to buy a separate Docuport mobile scanner. The system can also be integrated with SpeedGauge to prevent speeding violations and capture local speed limits. Pre-built integration is available for McLeod, TMW, and other significant transportation software systems. Take the time to get acquainted with the essential considerations before choosing an ELD solution. It's worth a look. 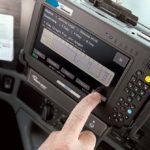 Who is Exempt From ELD Rule? First things first, you need to find out whether you are required to be compliance with the ELD mandate or not. Do you own the older trucks? The good news is that an ELD isn't required at all for trucks older than 2000. According to a recent FMCSA publication, the ELD mandate exemption applies to the engines predating the model year 2000, regardless of the registration date. This means that all the commercial motor vehicles (CMVs) whose engines feature the model year 1999 and older aren't subject to the ELD mandate. It is important to point out that the exemption is not based on the Vehicle Identification Number (VIN), but the engine year. That's because the engine model year may differ from the vehicle registration year in some cases due to glider kits. Just to mention that the model year is based upon the principles established by the National Highway Traffic Safety Administration (NHTSA). In addition to pre-2000 vehicles, the ELD rule also doesn't apply to drivers who do not maintain RODS and towaway drivers as well. Nevertheless, they can still consider using an ELD system. Just because your vehicles and drivers don't need ELD devices doesn't mean you should not make use of them. Many fleets adopt ELD solutions because of a variety of benefits. 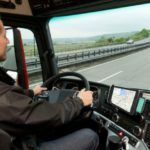 As a matter of fact, ELDs have been proven to increase driving and dispatch efficiency while reducing operational costs and lowering road accident rates. Is the ELD Approved by FMCSA? As stated before, not every ELD device is registered with FMCSA. That said, you need to check whether the certain ELD is on the list of FMCSA-registered solutions before buying it. The rising demand for electronic logging devices has seen an increasing number of ELD providers on the market. A lot of them offer non-compliant or non-certified products to earn fast money and disappear forever. That's why buyers should be wary of unfamiliar vendors and providers. Go for registered, self-certified ELDs from providers who have earned a reputation for delivering high-quality trucking and fleet management solutions. 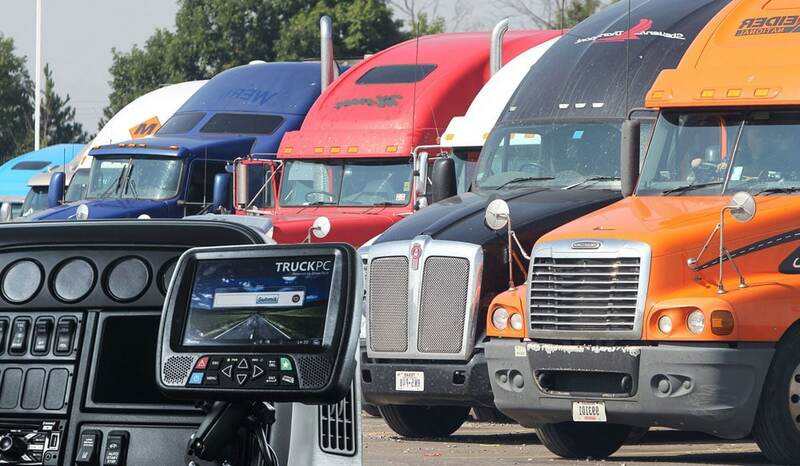 The last thing you want is to spend a lot of money on devices that don't meet FMCSA compliance requirements. What's the Cost of an ELD Device? Many owner-operators and small fleets that object the ELD rule base their arguments on the high costs. Lucky for them, there are quite a lot of affordable ELD solutions to choose from. Those looking for more complex, fancy gadgets should pick ones that offer financing to customers. That allows customers to get the products at affordable upfront costs. Consequently, they are going to pay for the ELD equipment according to their preferred service plan. Regardless of the preferred provider, users must subscribe to a monthly plan to get access to back-office tools. Monthly service fees vary widely from one ELD provider to another. What Features are Really Important for Your Fleet? For improved versatility, you need to choose an e-log solution that offers an array of additional features and capabilities beyond logging. These features often come at higher monthly subscription prices though. This is why you should go for a solution that offers features you really need. Basically, your choice will mostly depend on the type and size of your trucking operation, as well as the number of vehicles you have. 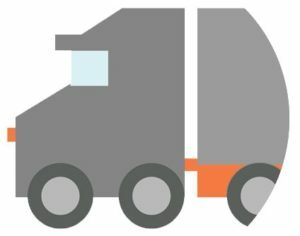 If you are running a small fleet with a couple of trucks, you don’t necessarily need all the latest bells and whistles. Multi-truck companies, on the other hand, will need enhanced in-truck functionality and more extensive back-office capabilities. Last but not least, you will want your ELD is easy to use. While some units come with well-designed and intuitive user interfaces, others have plenty of functions and a steeper learning curve. Your drivers are the ones who will use the system most of the time, so it's necessary to train them before introducing an ELD solution. They are supposed to know much more than switching the devices on and off. For that reason, it is a good idea to choose a flexible and easy-to-use option which is designed with simplicity in mind. It will eliminate the hassle of dealing with the complicated process when running with e-logs. It is a nightmare scenario for fleets and carriers to determine whether an electronic logging device is a good choice indeed, especially if they don't have any resources. With a lot of valuable information and comprehensive reviews, it's much easier to make the right choice. We have reviewed some of the most popular options on the market. Whichever ELD device you select from our list, it will certainly serve you well and get the job done. Not only will you remain compliant but also reduce operating costs and save money over the long haul. 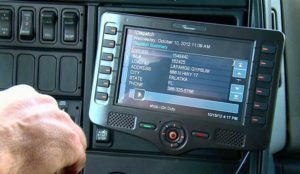 An ELD is a must for most trucks and commercial vehicles. If you are not exempt from ELD rule, be sure to equip your truck with an electronic logging device and continue operating with peace of mind. 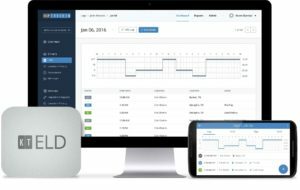 Previous Post Verizon Connect Reveal Review – Is This ELD Worth It?